Comrades All, Veterans Affairs Canada has requested that our Association provide representation at the 100th Anniversary of Vimy Ridge Pilgrimage taking place April 5-12, 2017. If we are unable to find a representative from the first group then Veterans Affairs may consider us providing representation from the second group so I would like to have our nominations ready if that is the case. Your assistance in this matter is greatly appreciated and we look forward to having your nominations prior to 11 January 2016. CC130J aircraft at the Oshawa Airport. The aircraft was there to pick up a group of Militia Paratroopers for an exercise in Trenton. It was a great opportunity for our unit to get to-gether and tour the Hurcules. A big thank-you to Jay Marrin and his crew for this rare opportunity. Left to right, Dave Barkwell, Bob Hartley and Jay Marrin. Just to left of Dave (over his shoulder) is another member Wally Gardener. Passing of Lieutenant-General Charles H. Belzile, CM, CMM "It is my sad duty to inform you that LGen Charlie Belzile, formerly 2nd Battalion QOR of C, passed away today. Former Commander Force Mobile Command, Gen Belzile's service with the Regiment took him from Korea to Calgary, Esquimalt to Lahr, Quebec City to Cyprus. After a tour as Brigade Major in Germany, he was promoted LCol and appointed Commanding Officer of the 2nd Battalion, R22R. As Col he commanded the Combat Arms School, Gagetown, as BGen commanded 4 CMBG in Lahr and as MGen, Canadian Forces Europe. Upon promotion to LGen, Gen Belzile commanded the Canadian Army. A few Riflemen will remember meeting him when the Regiment sent Guards for the 50th Anniversary of D-Day in 1994 and a subsequent visit to Normandy in 1997, when he was chair of the Canadian Battlefields Foundation, and gave us a private tour and discussion on how the French people to this day view the Riflemen that went before us, and the appreciation they have for our Regiment. Rest in Peace Sir, and thank you." In July 2016, the administration of Canadian Armed Forces (CAF) pension plans for active members was transferred to the Government of Canada Pension Centre at Public Services and Procurement Canada (PSPC). On January 3, 2017, the functionality to administer CAF pensions for retired CAF members and their survivors/child(ren) will also be added to the Government of Canada pension system. An Annuitant Communiqué will be sent via Canada Post to retired members in November 2016. This will be the second time retired members are being informed of the upcoming changes. Below is a list of questions and answers that your organization may receive from retired members. 1. I received a letter about changes to my pension, what does this mean? The Department of National Defence (DND) is informing active and retired members about the transfer of the administration of their CAF pension plans to the Government of Canada Pension Centre at Public Services and Procurement Canada (PSPC). No action is required from you. DND is simply informing you of the upcoming changes. 2. When does this transition affect retired members? The administration of pension payments for retired members and their survivors/children will begin to be administered by the Government of Canada Pension Centre on January 3, 2017. 3. Will I have to do anything to transfer my pension file? 4. As a retired member, will this affect my pension benefit payments? As a retired member, a survivor or child(ren), benefits will continue to be paid in accordance with the Canadian Forces Superannuation Act (CFSA) rules. 5. Will I continue to have access to my epost account? Retired members will continue to have access to epost, Canada Post’s secure online delivery service that offers a paperless alternative to receiving pension documents by mail. Pension documents will arrive in your epost mailbox as soon as they are issued. For information about registering for an epost account, please visit the following link (https://www.epost.ca). 6. What improvements to client service will I see from the transition to the new pension solution? · environmentally friendly operations resulting from the elimination of paper files. All member files will be converted to electronic versions. A more automated solution will allow pension experts to focus on providing an improved level of individual counselling to members. 7. Where can I go for information about CAF pension plans? Visit the Government of Canada CAF Pension Web site for active and retired members at www.canada.ca/pensions-canadian-armed-forces. Here, members will find comprehensive information on CAF pension plans, all relevant forms, and links to related information. 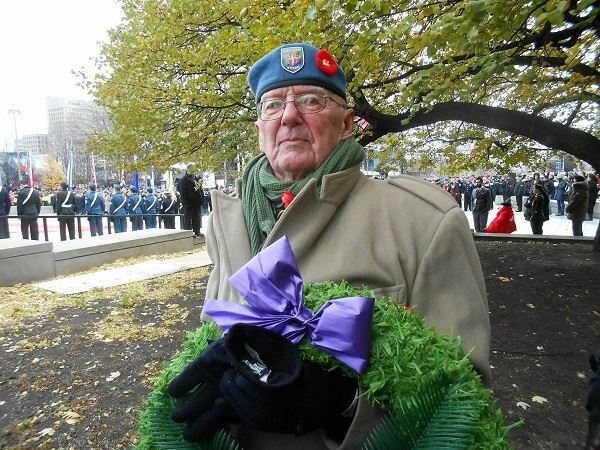 Gord attended the National Remembrance Service and layed a wreath for the NATO Veterans Organization of Canada. I was the MC here in Merrickville for our Remembrance - as a Legion member who was the organizer and we had over two hundred attendees today - our three Elementary Schools were here. We laid a wreath for "The War Animals" - lots of emotions. Gord and I met at the National Aboriginal Veterans ceremony on 8 November in Ottawa. We (NVOC) were recognized by their President as being amongst friends - they hosted an impressive ceremony at the Aboriginal Memorial - with a very nice buffet lunch at the Lord Elgin. The focus this year was on the 24 Aboriginal Cadets attending the Royal Military College ( a one year program that gives them all a look at the military - very few stay at RMC - some go into the Ranks and others are given a leg up at other Universities) - a very clever Military effort to attract aboriginal youth for "Leadership" opportunities. The event was a very Class Act - the Minister of Veterans Affairs attended [ first time] - as did the Army Commander and his Army Sgt-Major. Nice attitudes and nice atmosphere. I was proud to stand with Gord to represent us all. We are a small gathering of like minded veterans . As of November 10, 2016, an electronic verification process will take place for all passengers flying to Canada, including Canadian citizens and dual national Canadian citizens<http://www.cic.gc.ca/english/visit/dual-canadian-citizens.asp>. Canadian citizens who are also citizens of a visa-exempt country<http://www.cic.gc.ca/english/visit/visas-all.asp>, such as the Netherlands, who may have used their non-Canadian passport to fly to Canada, will need to obtain a valid Canadian passport before flying to Canada. If a Canadian citizen does not have a valid Canadian passport, they may not be able to board their flight. With Remembrance Day coming up shortly, we anticipate that some Canadian veterans may be travelling for special events. It is therefore important to remind your members that a Canadian passport is the only reliable and universally accepted identification document that serves as evidence that a Canadian citizen has the right to enter Canada. The Government of Canada strongly recommends that Canadians who plan on travelling internationally, including returning to Canada, travel with a valid Canadian passport. OTTAWA, Nov. 3, 2016 - The Honourable Kent Hehr, Minister of Veterans Affairs and Associate Minister of National Defence, joined the Honourable George Furey, Speaker of the Senate of Canada and the Honourable Geoff Regan, Speaker of the House of Commons, for a special remembrance ceremony in the Senate Chamber today. The Senate ceremony of remembrance is a signature event and marks the beginning of Veterans' Week in Canada. This annual commemorative ceremony invites Veterans and currently serving Canadian Armed Forces personnel to participate in the official launch of this important week, which encourages acts of remembrance and continued support for Canada's Veterans. Veterans' Week is celebrated in Canada every year from November 5 to 11. The Government of Canada, as well as Veterans' organizations, youth groups, and individuals throughout the country hold hundreds of commemorative ceremonies and events to honour Canada's Veterans, still-serving Canadian Armed Forces personnel and RCMP, as well as to pay tribute to those who have fallen in the line of duty. "For over twenty years, Veterans' Week has brought Canadians together to honour the sacrifices and achievements of Canada's Veterans and still-serving military personnel. We want Canadians who have sacrificed and those who continue to serve to know – we are so proud and thankful for your service to this great country. We will always remember your contributions." "Over two million Canadian men and women from all walks of life have made, and continue to make lasting contributions during times of war, conflict and peace. Today, we commend the bravery of these individuals and reflect on the sacrifices made by our brave men and women in uniform. They have known first-hand what it means to face the many difficulties associated with military conflict and have given this country an immeasurable gift through their service. To them and to those who came before them, we are forever indebted and grateful." "The Centre Block of Canada's Parliament Buildings stands as a memorial to those who served and died in the First World War. This year, Canada's fallen soldiers are honoured in a very special way: a visual display of 117,000 falling poppies will be projected onto Centre Block every evening until November 11th. The Poppy Drop is a beautiful and powerful commemoration of those Canadians who gave their lives to protect the freedoms we enjoy. I encourage everyone to take the time to remember them." This Veterans' Week (November 5-11), Canadians are invited to join in honouring the hundreds of thousands of Canadian men and women who bravely served our country during these conflicts. Next year, Canada will mark the 100th anniversary of the Battle of Vimy Ridge, the 100th anniversary of the Battle of Passchendaele and the 75th anniversary of the Dieppe Raid. Since Confederation, more than 2.3 million Canadians have served in Canada's armed forces to defend freedom and democracy—with more than 118,000 having given their lives. Veterans' Week is a time when all Canadians come together to honour those who have sacrificed and those who continue to serve today to make our world a safer place. This Veterans' Week, Remember Them. Learn more at canada.ca/rememberthem. In a world where social media connects millions of us, the Government of Canada invites Canadians to take part in one or more acts of remembrance leading up to November 11. Tag posts with #RememberThem to help show how Canada remembers. Invitation to an exhibition launch on Thursday, November 3, 2016. The Diefenbunker: Canada's Cold War Museum is honoured to partner with the Embassy of Hungary in Canada to present two travelling exhibitions in recognition of the 60th anniversary of the Hungarian Revolution. For Freedom and Independence pays tribute to the young leaders of the spontaneous Hungarian uprising that grew to become a revolution and fight for freedom in 1956. The exhibition was produced by the Terror Háza Múzeum (House of Terror Museum) in Budapest, Hungary. Founded in 2002, the Museum features exhibits related to the fascist and communist regimes in 20th century Hungary, and serves as a memorial to their victims. Produced by The Rakoczi Foundation, the Hungarian Exodus commemorates the arrival to Canada of over 37,000 refugees following the Hungarian uprising of 1956, and of the contribution of Hungarian Canadians to this country. Founded in 1953 to maintain Hungarian cultural traditions in Canada, and to help Hungarian-Canadians establish roots in their new adopted homeland, the Toronto-based Rakoczi Foundation has since become a pillar of the community in its commitment to students through scholarship programs and grants, and for its humanitarian relief that reaches out to those in need in Canada and Europe. Refreshments provided by the Embassy of Hungary. The exhibition continues to December 31, 2016. 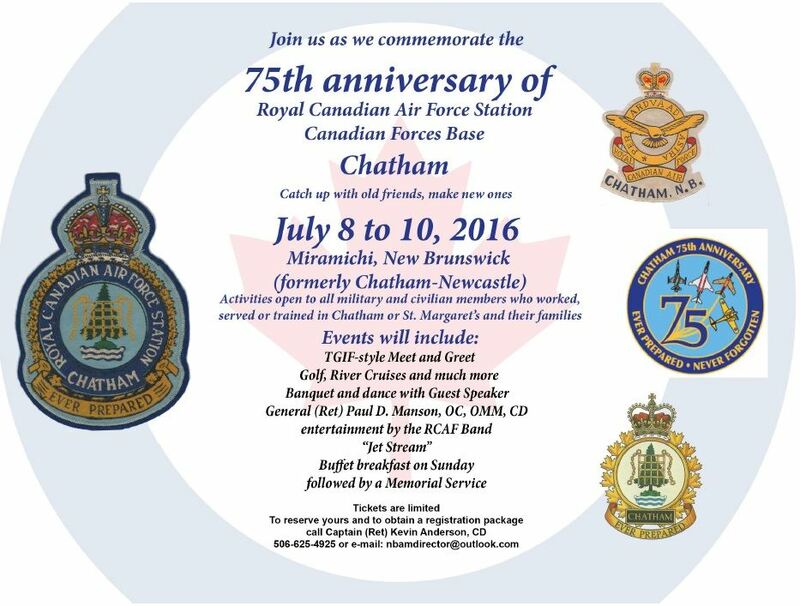 For more information contact Megan Lafrenière at m.lafreniere@diefenbunker.ca or 613-839-0007 x227. Legion Presents Virtual Poppy Drop on Parliament Hill OTTAWA, ON, 24 October 2016 – To commemorate the launch of the 2016 Legion Poppy Campaign, The Royal Canadian Legion’s Dominion Command will conduct a virtual Poppy Drop on Parliament Hill. From October 28th to November 11th inclusive, between 6pm and 9pm, a virtual Poppy Drop of 117,000 Poppies (one for each of Canada’s Fallen), will be projected each night on the Peace Tower and Centre Block on Parliament Hill. “The virtual Poppy Drop will be a stunning, large-scale reminder of the sacrifices of Canada’s Veterans, with the added significance of having that display on the Peace Tower and Centre Block of our Parliament Buildings,” says Royal Canadian Legion Dominion President, Dave Flannigan. In addition to cascading Poppies, there will be two video screens presenting the Legion’s Virtual Wall of Honour and Remembrance, a photo montage of Canadian Veterans who have served and sacrificed for the freedoms we enjoy today. The virtual Poppy Drop will be a memorable and highly symbolic visual display that will perpetuate the memory and deeds of the Fallen. We encourage everyone to come to Parliament Hill the evenings of October 28 through November 11 to take a moment to pause and remember. Please see below the message from the Veterans Ombudsman, Guy Parent who is looking for Veterans for a research study on successful transition. My team is getting ready to launch a small qualitative research study to better understand the factors during the release process that facilitate a successful transition and integration into civilian life for medically-released CAF members. We are looking for 15 to 20 Veterans who medically-released between 2006 and 2014 who feel they have successfully transitioned. They must be willing to share their personal experiences with us. To ensure valid research outcomes, we will be screening Veterans to establish a representative sample of participants, including both male and female, Regular and Reserve Force members, and with varying years of service. Participation in our study is completely voluntary and participants’ information will be kept confidential. Through their efforts, these citizens provide invaluable support to the Veteran community, promoting greater awareness of the sacrifices and achievements of Canada’s Veterans and dedicating themselves to Veteran care. The Minister of Veterans Affairs Commendation was created in 2001 by Warrant of the Governor General and with the approval of Her Majesty Queen Elizabeth II. The Commendation consists of a certificate, a lapel pin for civilian wear and a bar for wear with decorations. The design is a gold maple leaf resting on a red poppy, a flower long associated with the sacrifices of war, with the Royal Crown on the top of the pin. The following is the presentation made by NVOC to the House of Commons Standing Committee: Veterans today, June 2nd. In reading this you will get a good understanding of the issues that NVOC is vigorously pursuing with the Canadian Government. 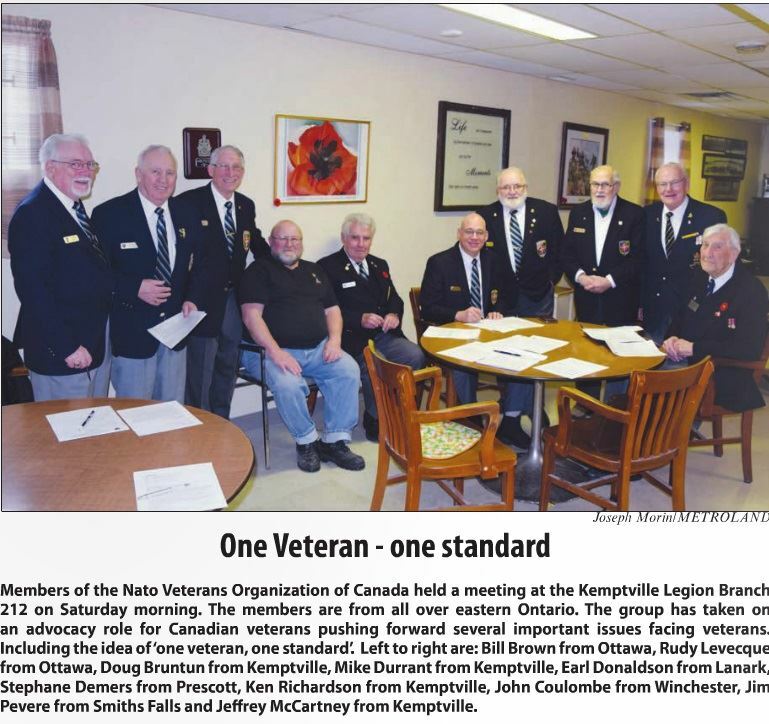 The Legion Service Bureau Network which has been around since 1926 and has Service Officers across the country at Legion Branches and Provincial Commands. These Service Officers can assist former and current members of the CF and RCMP and their families by representing their interests in claiming disability benefits under the Pension Act from Veterans Affairs Canada (VAC) and the Veterans Review and Appeal Board (VRAB). Unit 5 participates in US Memorial Day celebrations Cambridge represented Canada at Memorial Day celebrations in the United States on Monday (May 30). 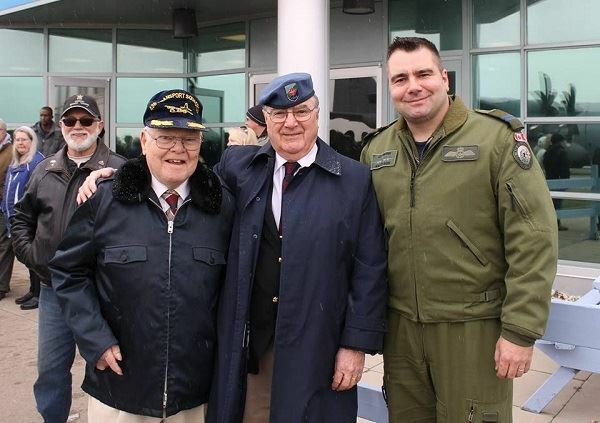 It was a day to honour American veterans who fought in foreign wars. Canadians will get to have their say in shaping the Nation’s defence policy through a series of collaborative and interactive public consultations, undertaken by the federal government. On April 6, 2016, Harjit Singh Sajjan, Minister of National Defence, announced the Government of Canada’s (GoC’s) intent to consult with Canadians about the future of Defence. The objective of the public consultations is to promote the GoC’s commitment to open and transparent dialogue with Canadians, and other key stakeholders, including members of the Defence Team, in the development of the new Defence Policy. What are the main threats and challenges to Canadian national security? What role do you see for the military in addressing potential threats? How should the Canadian Armed Forces be equipped and resourced to carry out these tasks? These discussions will take place in cities across Canada from April to July, 2016. All Canadians are encouraged participate online. To learn more about contributing, visit the GOC’s newly launched consultations portal at Defence Policy Review.